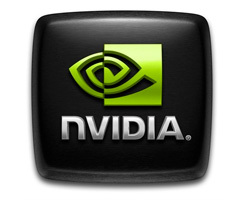 On this page you can download GeForce ForceWare 178.15 XP 64-bit. This driver originates from NVIDIA's developer zone. There's not much info on it other than it's a small update over the recently released WHQL driver. We have a discussion/feedback thread open on these drivers right here. A bucketload of GeForce graphics cards are supported though. NVIDIA_BR02.DEV_00F4.1 = "NVIDIA GeForce 6600 LE"
NVIDIA_BR02.DEV_02E0.1 = "NVIDIA GeForce 7600 GT"
NVIDIA_BR02.DEV_02E1.1 = "NVIDIA GeForce 7600 GS"
NVIDIA_BR02.DEV_02E2.1 = "NVIDIA GeForce 7300 GT"
NVIDIA_BR02.DEV_02E3.1 = "NVIDIA GeForce 7900 GS"
NVIDIA_BR02.DEV_02E4.1 = "NVIDIA GeForce 7950 GT"
NVIDIA_G70.DEV_0093.1 = "NVIDIA GeForce 7800 GS "
NVIDIA_G71.DEV_0292.1 = "NVIDIA GeForce 7900 GS "
NVIDIA_G71.DEV_0295.1 = "NVIDIA GeForce 7950 GT "
NVIDIA_G71.DEV_029B.1 = "NVIDIA Quadro FX 1500M"
NVIDIA_G72.DEV_01D0.1 = "NVIDIA GeForce 7350 LE"
NVIDIA_G72.DEV_01D2.1 = "NVIDIA GeForce 7550 LE"
NVIDIA_G72.DEV_01D3.1 = "NVIDIA GeForce 7300 SE/7200 GS"
NVIDIA_G72.DEV_01DB.1 = "NVIDIA Quadro NVS 120M"
NVIDIA_G73.DEV_0391.1 = "NVIDIA GeForce 7600 GT "
NVIDIA_G73.DEV_0392.1 = "NVIDIA GeForce 7600 GS "
NVIDIA_G73.DEV_0393.1 = "NVIDIA GeForce 7300 GT "
NVIDIA_G73.DEV_0398.1 = "NVIDIA GeForce Go 7600"
NVIDIA_G73.DEV_039C.1 = "NVIDIA Quadro FX 560M"
NVIDIA_G80.DEV_0197.1 = "NVIDIA Tesla C870"
NVIDIA_G84.DEV_0401.1 = "NVIDIA GeForce 8600 GT"
NVIDIA_G84.DEV_0402.1 = "NVIDIA GeForce 8600 GT "
NVIDIA_G84.DEV_0406.1 = "NVIDIA GeForce 8300 GS"
NVIDIA_G86.DEV_0423.1 = "NVIDIA GeForce 8300 GS "
NVIDIA_G86.DEV_042C.1 = "NVIDIA GeForce 9400 GT"
NVIDIA_G92.DEV_0601.1 = "NVIDIA GeForce 9800 GT"
NVIDIA_G92.DEV_0602.1 = "NVIDIA GeForce 8800 GT"
NVIDIA_G92.DEV_0604.1 = "NVIDIA GeForce 9800 GX2"
NVIDIA_G92.DEV_0605.1 = "NVIDIA GeForce 9800 GT "
NVIDIA_G92.DEV_0606.1 = "NVIDIA GeForce 8800 GS"
NVIDIA_G92.DEV_0609.1 = "NVIDIA GeForce 8800M GTS"
NVIDIA_G92.DEV_060C.1 = "NVIDIA GeForce 8800M GTX"
NVIDIA_G92.DEV_060D.1 = "NVIDIA GeForce 8800 GS "
NVIDIA_G92.DEV_060E.1 = "NVIDIA GeForce 9850 X"
NVIDIA_G92.DEV_0610.1 = "NVIDIA GeForce 9600 GSO"
NVIDIA_G92.DEV_0611.1 = "NVIDIA GeForce 8800 GT "
NVIDIA_G92.DEV_0612.1 = "NVIDIA GeForce 9800 GTX/9800 GTX+"
NVIDIA_G92.DEV_0613.1 = "NVIDIA GeForce 9800 GTX+"
NVIDIA_G92.DEV_0614.1 = "NVIDIA GeForce 9800 GT "
NVIDIA_G92.DEV_0615.1 = "NVIDIA GeForce GTS 150"
NVIDIA_G92.DEV_0619.1 = "NVIDIA Quadro FX 4700 X2"
NVIDIA_G92.DEV_061B.1 = "NVIDIA Quadro FX 2700"
NVIDIA_G92.DEV_061C.1 = "NVIDIA Quadro FX 3600M"
NVIDIA_G94.DEV_0622.1 = "NVIDIA GeForce 9600 GT"
NVIDIA_G94.DEV_0623.1 = "NVIDIA GeForce 9600 GS"
NVIDIA_G94.DEV_0625.1 = "NVIDIA GeForce 9550 GT"
NVIDIA_G94.DEV_0626.1 = "NVIDIA GeForce GT 130"
NVIDIA_G94.DEV_0628.1 = "NVIDIA GeForce 9800M GTS"
NVIDIA_G94.DEV_062A.1 = "NVIDIA GeForce 9700M GTS"
NVIDIA_G94.DEV_062D.1 = "NVIDIA GeForce 9600 GT "
NVIDIA_G94.DEV_062E.1 = "NVIDIA GeForce 9600 GT "
NVIDIA_G94.DEV_062F.1 = "NVIDIA GeForce 9800 S"
NVIDIA_G94.DEV_0630.1 = "NVIDIA GeForce 9700 S"
NVIDIA_G94.DEV_0638.1 = "NVIDIA Quadro FX 1800"
NVIDIA_G96.DEV_0640.1 = "NVIDIA GeForce 9500 GT"
NVIDIA_G96.DEV_0641.1 = "NVIDIA GeForce 9400 GT "
NVIDIA_G96.DEV_0643.1 = "NVIDIA GeForce 9500 GT "
NVIDIA_G96.DEV_0644.1 = "NVIDIA GeForce 9500 GS"
NVIDIA_G96.DEV_0645.1 = "NVIDIA GeForce 9500 GS "
NVIDIA_G96.DEV_0646.1 = "NVIDIA GeForce GT 120"
NVIDIA_G96.DEV_0648.1 = "NVIDIA GeForce 9600M GS"
NVIDIA_G96.DEV_064F.1 = "NVIDIA GeForce 9600 S"
NVIDIA_G96.DEV_0656.1 = "NVIDIA GeForce 9500 GT "
NVIDIA_G96.DEV_0658.1 = "NVIDIA Quadro FX 380"
NVIDIA_G96.DEV_0659.1 = "NVIDIA Quadro FX 580"
NVIDIA_G96.DEV_065C.1 = "NVIDIA Quadro FX 770M"
NVIDIA_G98.DEV_06E0.1 = "NVIDIA GeForce 9300 GE"
NVIDIA_G98.DEV_06E1.1 = "NVIDIA GeForce 9300 GS"
NVIDIA_G98.DEV_06E3.1 = "NVIDIA GeForce 8400 SE "
NVIDIA_G98.DEV_06E4.1 = "NVIDIA GeForce 8400 GS "
NVIDIA_G98.DEV_06E9.1 = "NVIDIA GeForce 9300M GS"
NVIDIA_G98.DEV_06F8.1 = "NVIDIA Quadro NVS 420"
NVIDIA_G98.DEV_06F9.1 = "NVIDIA Quadro FX 370 LP"
NVIDIA_G98.DEV_06FA.1 = "NVIDIA Quadro NVS 450"
NVIDIA_G98.DEV_06FD.1 = "NVIDIA Quadro NVS 295"
NVIDIA_NV41.DEV_00CC.1 = "NVIDIA Quadro FX Go1400"
NVIDIA_NV43.DEV_0140.1 = "NVIDIA GeForce 6600 GT "
NVIDIA_NV43.DEV_0141.1 = "NVIDIA GeForce 6600 "
NVIDIA_NV43.DEV_0142.1 = "NVIDIA GeForce 6600 LE "
NVIDIA_NV43.DEV_014C.1 = "NVIDIA Quadro FX 540M"
NVIDIA_NV43.DEV_014F.1 = "NVIDIA GeForce 6200 "
NVIDIA_GT200.DEV_05E1.1 = "NVIDIA GeForce GTX 280"
NVIDIA_GT200.DEV_05E2.1 = "NVIDIA GeForce GTX 260"
NVIDIA_GT200.DEV_05E7.1 = "NVIDIA Tesla C1060"
NVIDIA_GT200.DEV_05ED.1 = "NVIDIA Quadroplex 2200 D2"
NVIDIA_GT200.DEV_05F8.1 = "NVIDIA Quadroplex 2200 S4"
NVIDIA_GT200.DEV_05FD.1 = "NVIDIA Quadro FX 5800"
NVIDIA_GT200.DEV_05FE.1 = "NVIDIA Quadro FX 4800"
NVIDIA_C51.DEV_0247.1 = "NVIDIA GeForce Go 6100"
NVIDIA_C73.DEV_07E0.1 = "NVIDIA GeForce 7150 / NVIDIA nForce 630i"
NVIDIA_C73.DEV_07E1.1 = "NVIDIA GeForce 7100 / NVIDIA nForce 630i"
NVIDIA_C73.DEV_07E2.1 = "NVIDIA GeForce 7050 / NVIDIA nForce 630i"
NVIDIA_C73.DEV_07E3.1 = "NVIDIA GeForce 7050 / NVIDIA nForce 610i"
NVIDIA_C73.DEV_07E5.1 = "NVIDIA GeForce 7050 / NVIDIA nForce 620i"
NVIDIA_C77.DEV_0844.1 = "NVIDIA GeForce 9100M G"
NVIDIA_C77.DEV_0847.1 = "NVIDIA GeForce 8100P"
NVIDIA_C77.DEV_0848.1 = "NVIDIA GeForce 8300"
NVIDIA_C77.DEV_084F.1 = "NVIDIA GeForce 8100 / nForce 720a"
NVIDIA_C79.DEV_0861.1 = "NVIDIA GeForce 9400"
NVIDIA_C79.DEV_0860.1 = "NVIDIA GeForce 9300"
NVIDIA_C79.DEV_0863.1 = "NVIDIA GeForce 9400M"
NVIDIA_C79.DEV_0864.1 = "NVIDIA GeForce 9300 "
NVIDIA_C79.DEV_0865.1 = "NVIDIA GeForce 9300 "
NVIDIA_C79.DEV_0868.1 = "NVIDIA nForce 760i SLI"
NVIDIA_C79.DEV_086A.1 = "NVIDIA GeForce 9400 "
NVIDIA_C79.DEV_086C.1 = "NVIDIA GeForce 9300 / nForce 730i"
NVIDIA_C79.DEV_086D.1 = "NVIDIA GeForce 9200"
NVIDIA_C79.DEV_0871.1 = "NVIDIA GeForce 9200 "
NVIDIA_C79.DEV_087A.1 = "NVIDIA Quadro FX 470"
Note: If you have problems downloading GeForce ForceWare 178.15 XP 64-bit, please try to stop using your download manager and avoid right clicking on files. Also, check your firewall settings, because some mirrors may require that you do not block the HTTP referrers.